Bowing to the slipping sales of Nintendo DS hardware, Nintendo in a press release announced that it was dropping the prices of its DS hardware in order to boost its sales. Last month, the Xbox 360 outsold Nintendo DS and with a brand new 3D portable in the works, Nintendo intends to increase its consumer base. The press release stated, “Effective Sept. 12, the new suggested retail price of the Nintendo DSi system will be $149.99, while the new suggested retail price for the Nintendo DSi XL system will be $169.99.” However DS Lite is said to be sold for its previous price of $129.99. 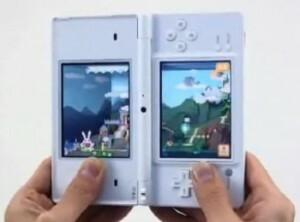 Nintendo DS is one of the best selling game systems however with increasing add-ons and decreasing prices of Xbox and PS3 systems have toppled Nintendo from its number 1 position. Analysts say that it will take more than a mere $20 drop in the DS hardware prices to excite the consumers. The drop is seen as an attempt to keep people interested in the DS hardware while waiting for the 3DS to be released which is still in works. Previous Next-Gen iPod Nano – Smaller with Touch Screen!